Parents hope 'frozen' child will live again Jump to media player The parents of the youngest child to be cryogenically frozen tell the BBC's Jonathan Head about their hopes she will one day live again. Cryonics: Frozen for the future? Jump to media player BBC Inside Out follows a group of people who are making plans to be frozen when they die so they can be brought back to life in the future. 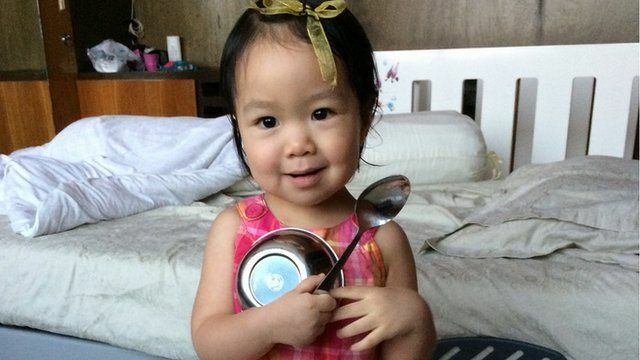 Earlier this year, two-year-old Thai girl Matheryn Naovaratpong became the youngest person to be cryogenically frozen, her brain being preserved at the point of death. Her parents say they are "100% convinced" future medical advances mean she will one day be restored to life. They told the BBC's Jonathan Head it was their love for their daughter that drove them to seek this route. Go to next video: Cryonics: Frozen for the future?